Norresundby is home to one of the finest Viking attractions in all of Denmark. The Lindholm Hoje Museum (Lindholm Høje Museet). While the city of Aalborg will very unlikely make it on anyone's list of favourite cities, the city does offer plenty of attractions for all ages. 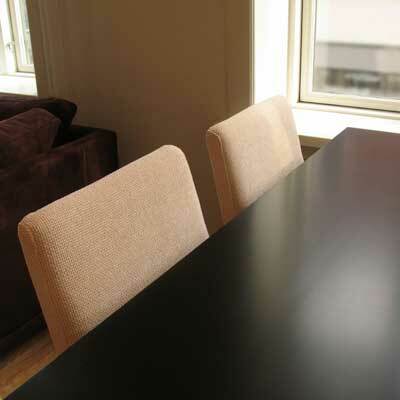 In fact in recent years Aalborg has grown in popularity as a weekend tourist destination. This is mainly due to the expansion of available flights to and from the Aalborg Airport (Aalborg Lufthavn). 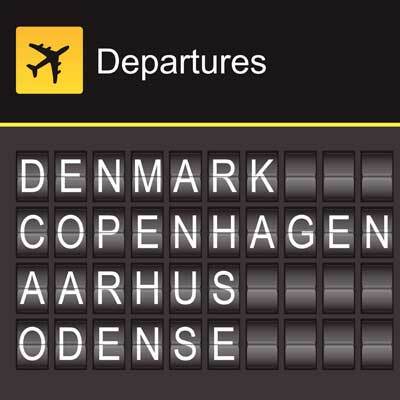 The airport offers many cheap flights to and from other European cities as well as Copenhagen (København). At first glance visitors to Aalborg will certainly become aware of the abundance of industrial eyesores; however a closer inspection of the city reveals many architectural attractions, museums, beautiful squares and parks. Don’t be fooled by the cities relatively small population, the city feels much larger than it actually is. This is partly due to the economic importance the city has to the entire region. Across the bridge into the town of Norresundby (Nørresundby) is one of the most impressive Viking Age sites in Denmark. The Lindholm Hoje Museum (Lindholm Høje Museet) is a must for anyone with an interest in the Vikings. The museum is essentially a Viking Age burial ground which has over 700 Viking Age graves. The interior part of the museum houses many Viking Age artefacts which have been found both in the Aalborg region and other parts of Scandinavia. The social heart of the city is Virgin Anne's Street (Jomfru Ane Gade). The street is one of the most popular streets in Denmark. The street has an assortment of restaurants, pubs and patios. During the day time this street is a great place to have a meal in one of the many restaurants. At night the street is transformed into the longest continuous stretch of bars and clubs in Denmark. The lively atmosphere makes this street a very popular area for tourists. Another popular Aalborg attraction is the Aalborg Zoo (Aalborg Zoologiske Have) which has over 1200 animals and many different species. The zoo is very modern zoo and it is a great place to bring the family. The Budolfi Church (Budolfi Kirke) deserves special mention. The church is one of the finest churches in Jutland. Another special mention goes to Aalborg’s Seafaring and Maritime Museum (Aalborg Søfarts- og Marinemuseum). The museum’s collection of course focuses on Denmark’s proud naval heritage. The main points of interests are the Delfinen (Dolphin) class submarine called, “Springeren”, and the torpedo boat called, “The Sea Bear” (Søbjørnen). Both are open to the public. 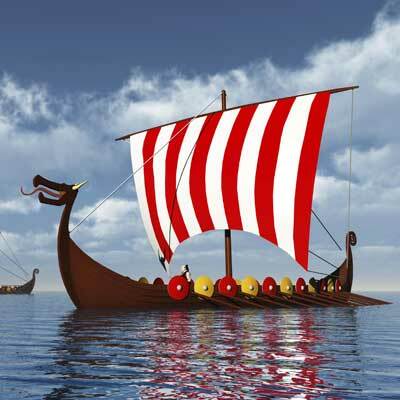 Sadly, there is very little information on the maritime life of the Vikings. Unfortunately in 2010, Tivoli Karolinelund which was a popular amusement park right in the heart of the city closed its doors for the last time. Environmental ground pollution on the grounds of the park meant that only an economic miracle could save the park, a miracle which never came. Each year, usually during the last week of May the Aalborg Carnival (Karneval i Aalborg) is celebrated. The city celebration lasts one week, and is mainly comprised of 3 events, the Children’s Carnival, The Grand Parade and the Battle of Carnival Bands. The Carnival has grown each year since it first took place in 1983. Today the Carnival alone attracts over 100000 visitors each year. West of the city centre is a park called The Fjord Park (Fjordparken). From here you can catch the ferry to the 5 km long island called Egholm. You can take the ferry year round, and the trip takes between 3-4 minutes. There are about 20 farms located on Egholm Island. 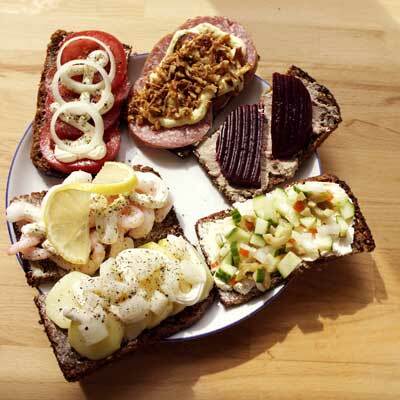 During the summertime the Restaurant Kronborg is open where you can enjoy a great meal. The 600 hectare island is a popular place to go for walk and enjoy a summers day. There is a primitive campsite for those who wish to stay the night on the island. 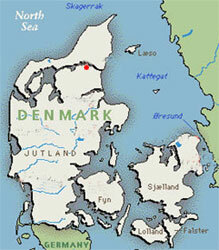 Aalborg has long been the nerve centre of Northern Jutland (Nordjylland). The earliest settlements in the area date back to 700 AD. Considering that Aalborg is the narrowest crossing point of Limfjord (Limfjorden) it is hardly surprising that an important city grew in the area. The actual city of Aalborg can trace its history to the 11th century. The first written mention of the town was in 1040, however under the town’s original name “Alabu” meaning "The (dwelling) place by the stream". During the Middle Ages Aalborg was one of the busiest trade centres in all of Scandinavian. In 1516 Aalborg was granted a monopoly on the salting of all of the herring caught in the Limfjord. This monopoly tightened Aalborg’s already firm grip on the economics of the region, and Aalborg grew to become one of the largest cities in all of Scandinavia. While the Limfjord was always a vital part of Aalborg’s economy, and you could say its reason for being, the fjord always presented transportation difficulties. In 1865 the Danish Government decided it was time a bridge over Limfjord was built in Aalborg. The first bridge was a very basic pontoon bridge. In 1869 the railway finally linked Aalborg to Southern Denmark, and 10 years later a railway bridge was built over the Fjord. In 1933 a new bridge was build over the fjord, to replace the old pontoon bridge, and in 1969 the Limfjord Tunnel (Limfjordstunnel) was completed. The tunnel allows vehicles to drive under the fjord. The tunnel is 600 meters long, and at the time of its completion it was considered to be quite an architectural achievement. Today, Aalborg is the 4th largest city in Denmark, and it is still a very lively trade and industrial city. With the founding of Aalborg University (Aalborg Universitet) in 1974 the city has in recent years become an important centre of education and research.